Jungle Cruise gets an extension…Trader Sam’s Grog Grotto goes soft…Marvel to Disney Springs…and, Innoventions West is closing! You may recall that Sunshine Tree Terrace and Aloha Isle swapped locations a few weeks back. We now know that the reason is because of a refurbishment (of sorts) is taking place to bring in a new restaurant location at the Magic Kingdom. The Jungle Cruise themed “Skipper’s Cantina”, will take over the old Adventureland Verandah. It is expected to operate much like “Be Our Guest’ offering a counter service option for lunch and a table service experience at dinner time. There has been no word on what type of food will be served, as yet. 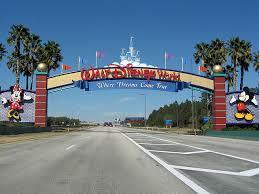 Disney is aiming for a November 2015 opening. Trader Sam’s Grog Grotto will begin a soft opening (today), March 28 at Disney’s Polynesian Village Resort. This much anticipated addition to the Poly seats 50 guest inside, and 82 on the patio. There are a number of drink offerings with some being exclusive to the Grog Grotto, and some being brought over from Trader Sam’s Enchanted Tiki Room. One thing to note is that souvenir mugs will not be made available until the OFFICIAL opening in April. As the Disney Springs project continues to roll on, we have received word that there will be a Marvel “Super Heroes Headquarters” opening up in May. It will be located in the former United World Soccer location on the West Side of Disney Springs. Whether this is a permanent placement, or not, has not been released by Disney. But, this seems like a good way to bring Marvel to the resort without infringing on the rights of the park up the street. At EPCOT, it was announced this week that Innoventions West will be closing permanently beginning on April 30, 2015. This old Communicore complex has seen many exhibits come and go through the years. The recent pull out of IBM may have helped this decision to be made. (Side note: Innoventions at Disneyland is also closing at the end of this month.) And, in normal Disney style, there is no word on what is in store for the future of this space. Will it be utilized, reimagined, demolished, or put in moth balls ala the Wonders of Life pavilion? Only time will tell! Next Next post: Battle of the WDW Podcasts round 2, last call!